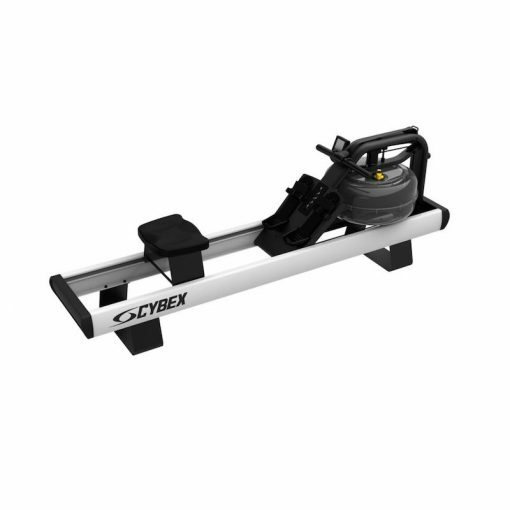 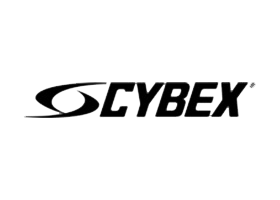 The Cybex Hydro Rower Pro drives results with a low-impact, total-body workout. 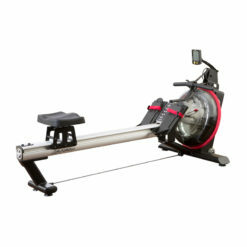 Rowing is an excellent cardiovascular workout that will push you to your limit with excellent results. 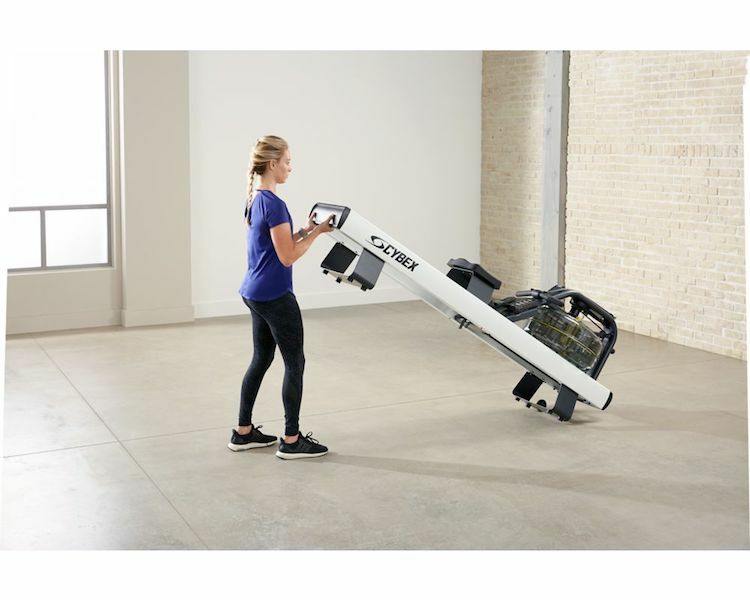 The Cybex Hydro Rower Pro has been designed to emulate real rowing—to feel smoother and more secure from top to bottom. 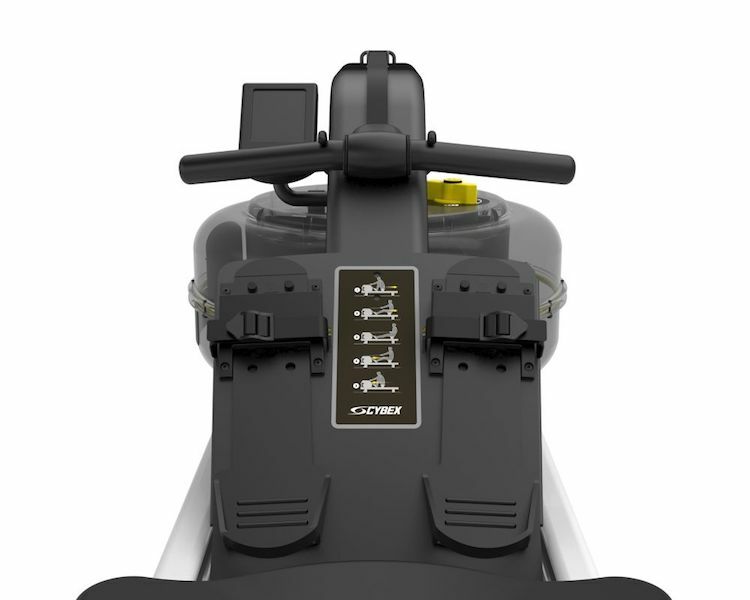 The dual rail provides steady feeling movement. 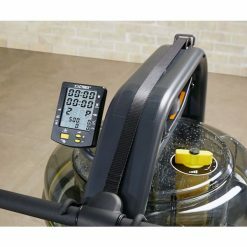 Foot straps are quickly and easily fastened or released. Powder-coated quartz white aluminium frame resists wear and tear. Variable fluid resistance provides instant catch and smooth strokes for any level of exercise. 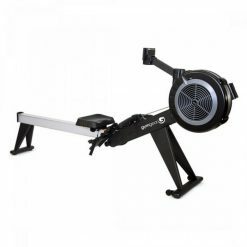 Console read-out includes time, distance, 500m split time, strokes per minute, calories per hour, watts, and heart rate (requires heart rate receiver kit, strap not included). 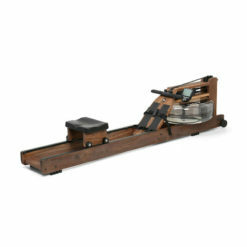 Versatile enough to place in any HIIT training program, cardio circuit, small group training or regular programming. 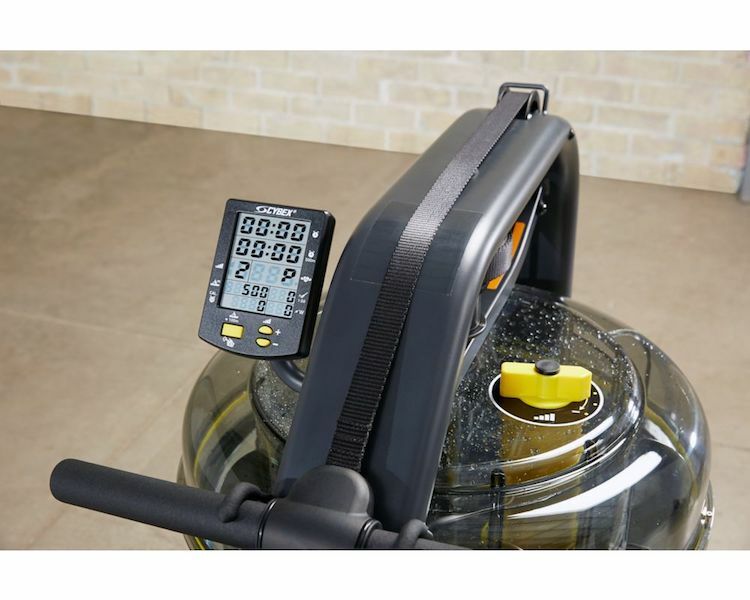 It offers a small footprint, low weight and front transport wheels that make it easy to move around any facility or store in an upright position. The variable fluid resistance technology uses water and fluid dynamics that emulate a natural full-length, on-water rowing experience. 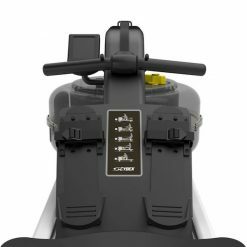 It provides instant catch with no lag, engages the legs throughout the stroke and makes exercisers feel like they’re on the water. Ergonomic handlebar: for a more comfortable and fluid workout. 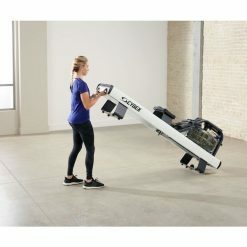 Adjustable foot straps: adjustable footboard and foot straps with locking mechanisms on the outside and out of the way allow exercisers to quickly and easily get off and on the rower. 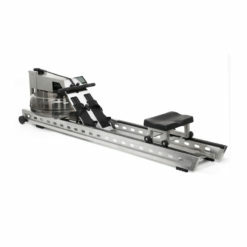 Easy resistance adjustments: to help you maximise your training potential.